The design of safety relevant structures and components requires the consideration of highly dynamic loads as result of actions like explosions, air plane crashes or missile impacts. The investigation of these exceptional load cases is getting more and more important since the attacks of 11 September 2001 at the World Trade Center in New York. 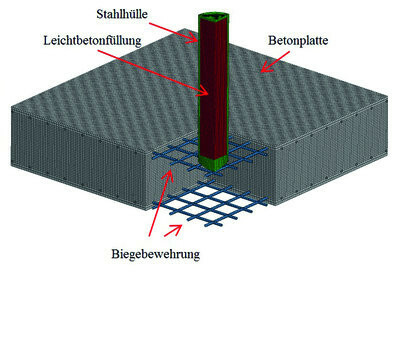 An adequate structural design against impact loads is fulfilled, if the failure of single elements is compensated by force redistribution without a total structural collapse. The specified loads are extreme dynamic impacts, which affect structures or structural components within the time range of milliseconds. 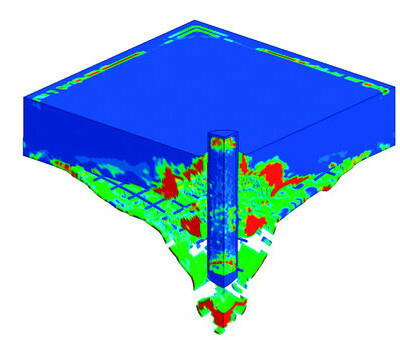 The analysis and design of structures under impact loads is a challenging task for the responsible engineers. A realistic estimation of the impact is quite complex and not sufficiently regulated in the relevant design codes and guidelines, so that experimental tests or time consuming simulations are unavoidable. The SDA-engineering GmbH is well experienced in executing short term dynamic analyses and offers highly dynamic calculations on request.